Jenne Reische, riparian specialist for Clackamas County Soil and Water Conservation District, was presented with the Special District Service award by the Special Districts Association of Oregon. This award recognizes individuals who have contributed substantially to the improvement and successful operation of his or her special district. 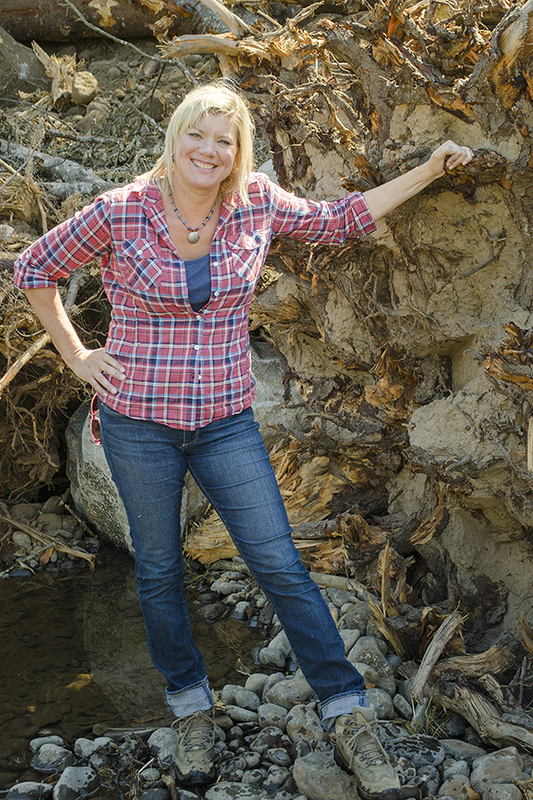 Jenne leads the Conservation District riparian restoration program. She installs projects on private and public land that benefit fish and wildlife habitat, stabilizes streambanks, and improves water quality of our local streams. In the last few years she has managed streambank restoration projects that used cutting edge design to minimize erosion while providing spawning habitat for Coho salmon. Jenne included many native trees and shrubs in the project to shade the stream and provide nesting habitat for songbirds. Another recent undertaking that Jenne spearheaded was a project to remove an old agricultural in-stream dam that blocked fish from reaching 2.5 miles of high quality habitat. In between the larger projects, Jenne works with landowners to fence livestock away from streams, develop off–stream watering facilities for the animals, and plant native trees and shrubs. Beyond streamside work, Jenne is also interested in restoring oak savannah habitat, an important kind of habitat that is quickly disappearing from the Willamette Valley.